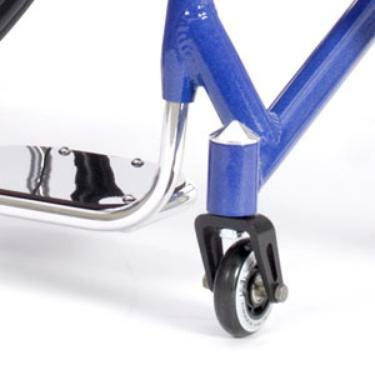 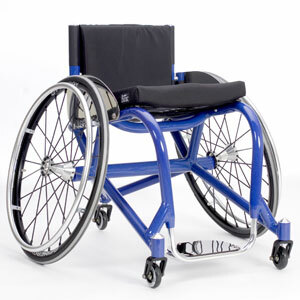 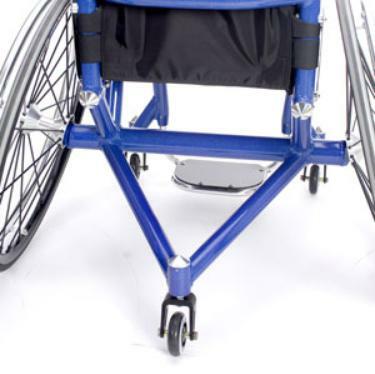 The Tennis Elite magnesium (*) frame wheelchair is the answer to your athletic aspirations. Light and nimble, yet tough and extremely rigid, this tennis chair is truly a dream on the court. It is designed for the player who knows exactly what they are looking for in a tennis chair and demands the best. 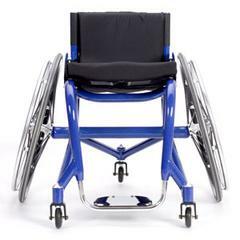 This agile athletic chair reduces weight and increases your sports advantage by utilizing a magnesium alloy frame, titanium hardware and high tech laminated carbon fiber sailcloth for seating material. 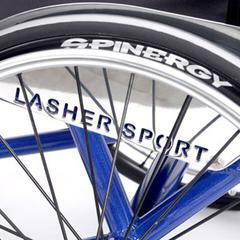 The Tennis Elite comes standard with Spinergy SLX 18 or 24 spoke wheels and Schwalbe Speed Run tires. 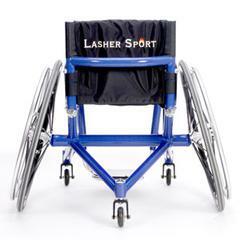 Add it all up and you have an Impossibly Light™ tennis chair! Lasher Sport offers over 6500 powder coat color finishes to personalize your unique tennis chair. 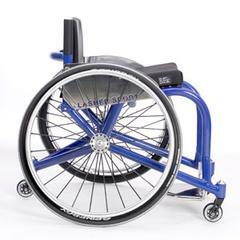 Playing weight is just 19.8 pounds for a 16" x 16" frame with aluminum side guards as shown (* does not include cushion weight). * Magnesium is the lightest structural metal on the planet! 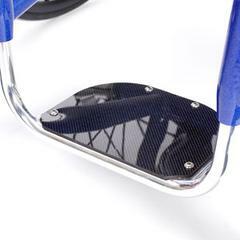 It is roughly 35% lighter than aluminum and 62% lighter than titanium by volume, yet has tensile strength comparable to 6061-T6 aluminum. Magnesium alloys are exceptionally resistant to corrosion and boast ten times the vibration dampening capacity of other metals like aluminum, steel or titanium. This makes magnesium the ideal construction material for lightweight shock absorption and smooth riding.